Facebook’s ad platform has increasingly become a major advertising medium for driving engagement, traffic, and sales. It’s a platform that complements other advertising from Google Ads (formerly AdWords), Bing Ads, and traditional advertising. Vertical Rail works with companies and internal teams to develop and refine strategy, develop art and then manage and co-manage programs of varying lengths. We have a successful track record in Facebook Ad marketing campaigns promoting contests, events and general promotions. Clients also tell us that they gain valuable insights from our team and management style regarding their general Facebook account management. Our team will develop a custom Facebook advertising strategy based on your goals. Your strategy will make use of a variety ad campaigns designed for Facebook, Instagram, and the Facebook Audience Network. Using targeting options based on demographic information, location data, user interests, and user behaviors, we will hone in on the audience that is best suited for your products or services. Creative contests and meaningful “like” campaigns contribute to growing your audience on Facebook and creating a lasting relationship between your brand and your best customers. An ecommerce store built on Facebook can serve as a meaningful place to direct traffic as part of your Facebook ad program. A custom dashboard will keep track of key metrics and help you understand how your Facebook ad campaigns are performing. 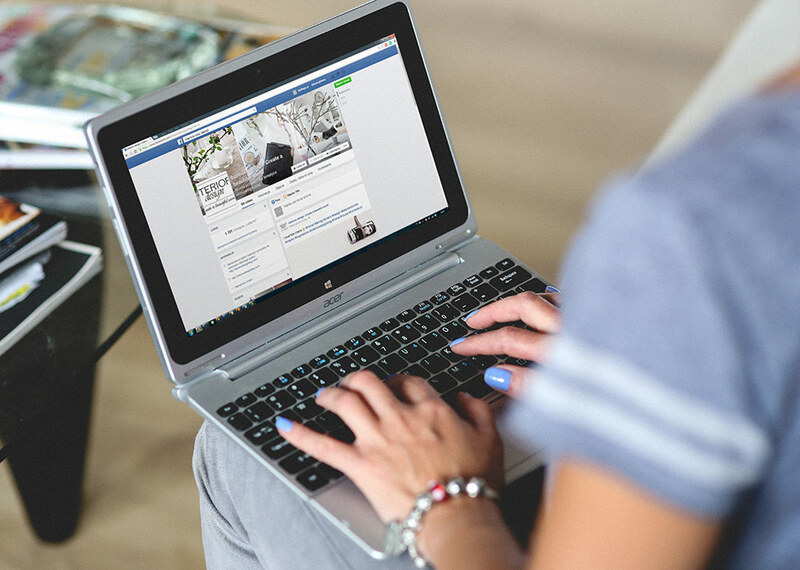 An account manager will keep you informed about the progress of your Facebook ad program and how these ads are tracking to meet your business goals. With a variety of placement options, unmatched targeting data, and other features like lookalike audiences and retargeting, Facebook stands alone as one of the most powerful ad platforms online. Their expansive and engaged user base allows for a tremendous opportunity for reaching your target audience. From outward appearance Facebook Ads may seem easy to setup; however, the program itself contains a level of depth and complexity that is as advanced as any digital ad platform online. Ad creative on Facebook requires striking a balance between creating a message that is interesting, sales-focused, and also genuine enough to belong among posts from family and friends. Advertisers walk a fine line between providing something of value, and spamming or alienating the target. Facebook collects more data than just about any other platform, and this represents an incredible opportunity to hone in on your target audience based on location, demographic information, user interests, browsing patterns, and an array of other nuanced targeting options. Campaign goals, product or service details, and buying patterns ultimately influence whom you’re trying to reach with any given ad, and with ad platform like Facebook, targeting that audience is best done with skill and finesse. Vertical Rail creates and manages campaigns for businesses that fulfill the needs of the consumer, while also delivering on the goals of the client. We start by understanding the client, their culture, POV and exact goals. We then apply advanced audience targeting, messaging, art creation, budgeting and scheduling. Day to day management of Facebook advertising includes monitoring key metrics such as spend, click through rate, and frequency. The data guides how we improve and tweak our ad strategy, fine tuning each campaign to reach your marketing goals. Retargeting on Facebook enables advertisers to reach users long after they’ve left your website, and the flexibility of Facebook’s pixel enables you to target users based on which pages they’ve visited on your site. We use this tool as a way to create a marketing funnel, inching users along a path toward conversion. Other custom audience building tools such as lookalike audiences allow you to reach users who are similar to your best customers and active on Facebook. Choosing placements within the Facebook Advertising platform requires a strong understanding of campaign goals and the benefits of each placement type. With the option to choose from video, image, right column, and news feeds ads on Facebook, you can choose placements that are focused on growing impressions of your brand or driving traffic. In addition, the ad platform offers placements on Instagram’s news feed, Instagram stories, and the audience network, which is a collection of websites similar to the Google Ads display network. For some of our Facebook Advertising clients, we offer page management services, where we work with you to create, curate, and manage the day-to-day posting, community nurturing, and content strategy on Facebook. We create a posting strategy that exposes the best qualities and aspects of your company, products, and services, and we use this in tandem with our advertising strategy to create a wholistic Facebook experience for your best target audience. Developing highly effective and sales-driving digital marketing strategies. Driving significant growth in brand engagement. Developing strategies for leveraging the tools available through Facebook and Instagram ads.